How do you like your pizza? Cooked over actual firewood oven? 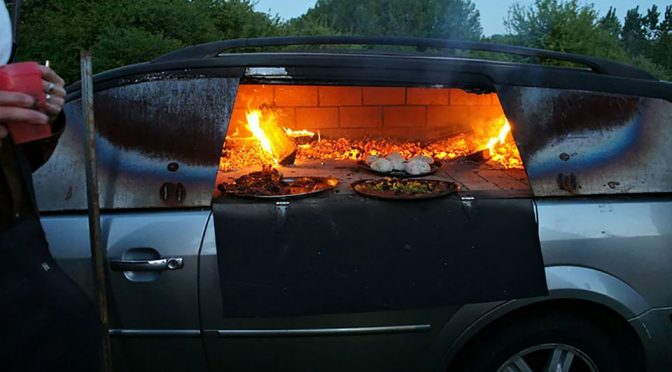 Or do you prefer pizzas made in an actual firewood car-oven? I am not even joking. 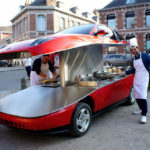 Car pizza oven is real, but obviously, you won’t get to have a taste of it, unless you are a friend of French artist Benedetto Bufalino because has turned a real car, a Ford Mondeo (Ford Fusion in the US) into a pizza oven on wheels. 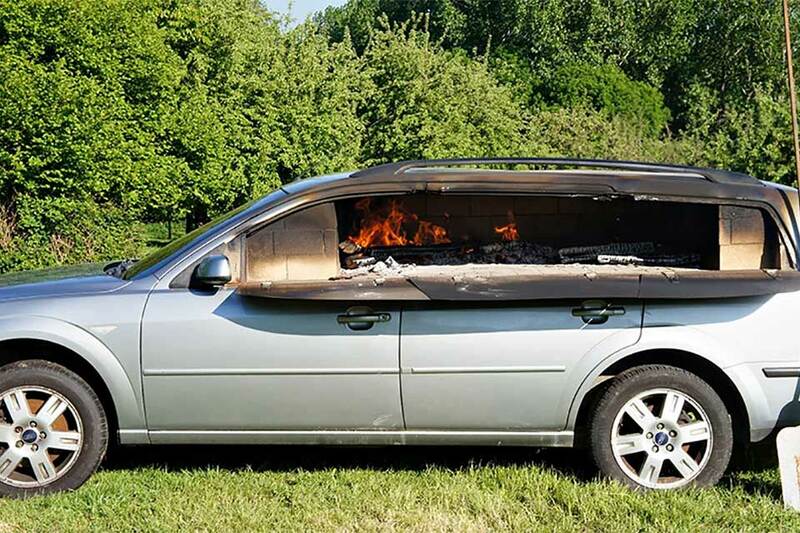 To make a car pizza oven, the car would have to be fire and heat resistant to up to 800 degrees and to realized that, sacrifices have to be made. In this instance, the entire interior had to go and so are the windows. In place of the usual glass windows are sheet metal and brick walls, and replacing the seats and all are a brick platform for the pizzas to be assaulted by the 800 degrees of fire and heat spews our by the burning firewood. Crazy! Well, crazy in an awesome way. It is a shame that this thing no longer drives. 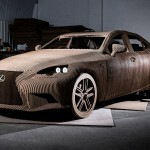 It will be cool if it does, though if it did, the driver probably need to be in a fireproof suit and suit up like a stratosphere-bound pilot, complete with oxygen supply straight to the mouth and nose. Oh, wait. It looks like it does not have space for even the driver. Oh, well. As a consolation, you can probably tow this to wherever you need it to be. This Ford Mondeo Pizza Oven is not the first crazy auto-related art project by the French artist. 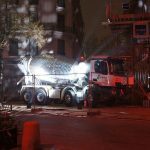 He has previously turned cement truck into a functional disco ball and he has also created a caravan pool, flipped a car turtle just so it could be used as ping pong table, and turning a mini excavator’s cabin into an aquarium for live, ornamental fishes – just to name a few. You can check out more whimsical projects by Bufalino on his Instagram page and his portfolio website. 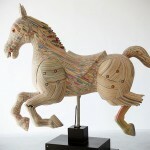 Whenever I see Benedetto Bufalino’s projects, they never failed to put a smile on my face.